Upon return of National Leader Heydar Aliyev to leadership of Azerbaijan, tangible changes were felt in public-political, social, economic, scientific-cultural life of the Republic. 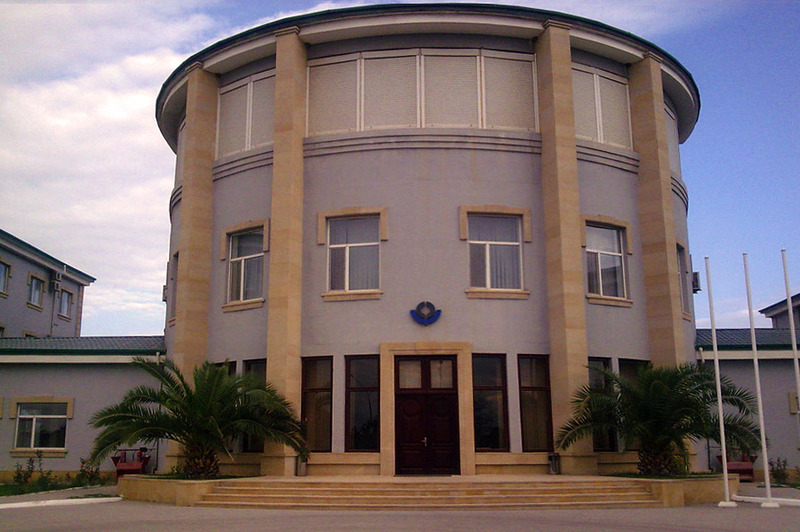 Ensuring the rate of growth of foreign trade turnover and establishing sustainable trade ties with different countries of the world, attracting foreign investments to the country, strengthening the role of Azerbaijan as a transit country, all these required the customs authorities of the country to be effective, adequate and relevant to changes. The effectiveness of the customs authorities is measured, inter alia, by the availability of the personnel training in place. With a view to ensure the above mentioned objectives it was decided to establish the Training Center of the State Customs Committee which was later founded back in 1996. The Training Center is tasked with training newly recruited personnel. Four-month training courses are held in this Center twice a year and newly recruited personnel participate these courses where along with main subjects, they are taught foreign languages, psychology and etc. In-house specialists, as well as specialists from educational establishments of the country take part in the teaching process. Upon completion of the training course young customs officers are given certificates and thereafter are assigned to local customs offices. Fast integration process of Azerbaijan into the world economic system requires personnel training which meets the world standards. In view of this and the challenges faced by customs administrations due to increasing volumes of trade, as well as the necessity for more enhanced cooperation among customs administrations and with the WCO and also having regard to the important role and significant potential of the Republic of Azerbaijan to support WCO in providing capacity building type assistance, Memorandum of Understanding between the World Customs Organization and the State Customs Committee of the Republic of Azerbaijan regarding the Establishment of a World Customs Organization Regional Training Center in Baku, Republic of Azerbaijan was signed in January, 2002. This Memorandum allows the WCO to use the facilities of the Training Center for the purposes of regional training, technical assistance meetings and other customs-related events and makes available classrooms and other service facilities of the Training Center for use by the WCO. The opening ceremony of the Regional Training Center took place in September, 2003 with the participation of the then WCO Secretary General Michel Danet. The Center is duly equipped, has a conference room, classrooms, a library, hotel facilities, a gym, a pool, a sauna, a canteen,a shop, a barber's and etc. In the framework of cooperation with the WCO seminars/workshops and trainings of national, regional and international importance are held in this Center where customs-related topics are touched upon. For these purposes the WCO ensures assignment of trainers for the training process. National planned seminars and trainings are also held here on the basis of approved training plans drawn up in consistency with the conducted needs assessment results. It should be noted that with a view to ensure the training of high-level personnel for the State Customs Committee of the Republic of Azerbaijan, professional development and scientific researches in customs matters the President of the Republic of Azerbaijan His Excellency Ilham Aliyev issued a respective Decree in January, 2012, regarding the Establishment of Customs Academy of the State Customs Committee of the Republic of Azerbaijan. The main point in establishing this institution of higher education is the training of high-level professional staff so as to meet the demands of the Azerbaijan customs authorities.